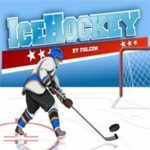 Hockey Fury is a fun unblocked hockey game where you can play a exciting game of ice hockey against one of the greatest ice hockey team in the world! Become a pro hockey player in one of the most popular ice sports in the world! 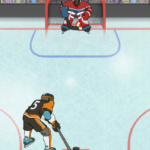 Get that puck past the goalkeeper and shoot it against the net to score the point needed to advance. The player who gets the highest goal score will be the winner of the hockey championship.